Earn up to 24,960 reward points. 4 1/3 octave standard padauk marimba. 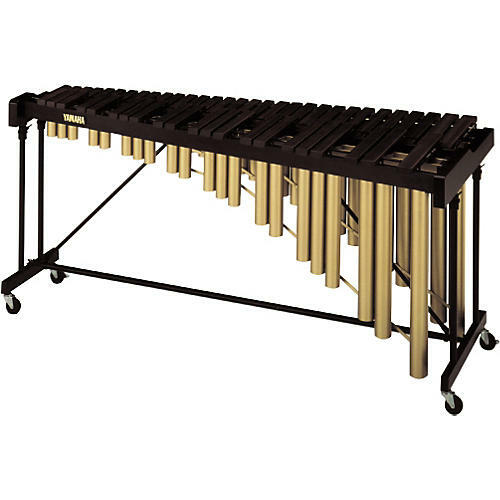 The Yamaha YM-1430 is a 4-1/3-octave standard marimba with a note range of A25-C76. With graduated padauk bars it produces a natural wood tone with a traditional wood marimba feel. It's compact size has a small footprint on stage or while stored. Features include 2-position resonator slots, height-adjustable frame angle supports, essential accidental resonators, and locking casters. Comes with a drop cover.